My whole life I’ve been a visionary game changer. There’s a reason for that: In 1973, my mom phoned to tell me that she had driven into a tollbooth . . . head on. When I asked her why, she told me that the voices on the radio had told her to do it. That moment defined a stark, new reality for us. I could no longer deny that my mom’s Alzheimer’s was full-blown. There was no retrieving her. She was only 59! After 36 years as a mother and housewife, she had just started to work. She never got to find her voice. She never got to blow her horn. Her life was never fully lived. There was no way I was going to end up that way. I wasn’t going to feel invisible, useless, or go quietly into the night. I was just 28. But in that moment, I made up my mind that—if I, too only had a limited time—I wanted to know what it would take for me to become a woman with a voice, a woman whose life had meaning; a woman full of passion, purpose, and possibility. Regardless of my age. The loss of my mother redefined me. And it completely altered the trajectory of my life from then on. Nothing was going to prevent me from using my voice and blowing my horn every day for the rest of my life. Nothing. This is how new stories are born. Before my mother succumbed to the ravages of Alzheimer’s, I saw a need for us, as women, to raise our consciousness, tap into our unrealized potential, and change the story of who we are at every age, every stage, and every lifecycle. I’d just started my own non-profit organization: a women’s center. And this was at a time when women were expected to become teachers, nurses, or stay-at-home mothers. The center was women-led, women-run, women–staffed, and women-centered. 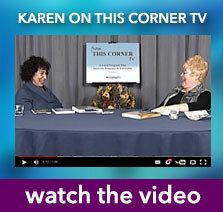 This was where I first became a career counselor and life planner. My driving mission? To bring women back into the workforce on their own terms. I was determined to help them take their rightful seat at the table—be that in the kitchen or the boardroom. There was no chance of me sitting at home wearing a Chenille robe with curlers in my hair, sipping a cocktail at 3 o’clock in the afternoon. I wanted to be everything I could possibly be in this lifetime. Ultimately, I turned consultant for other (similar) centers, launched another business, in jewelry this time (because . . . why not? ), and later found my place in Corporate America at a major financial services company amidst a grueling custody case spanning two continents. 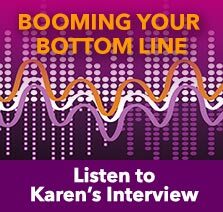 Karen's holistic approach was unique and way ahead of the times—it clarified how to manage the changes required to successfully compete in our industry. 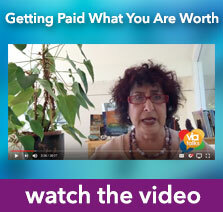 She focused on aligning and integrating our personal values with the workplace culture. Working with Karen was a great experience and the insights gained will continue to be invaluable and influence us long after. Because here’s the thing about me: No matter what hits, I rise again. I’m like the Eveready Battery bunny—I just keep getting back up. That meant I rose to the top very, very fast. Anointed the first “intrapreneur” and “leader of the new breed” by the company president, I broke every status quo rule in the company and made new records in the marketing of retirement services and pensions in the company—and the industry. I trained with some of the best of business and leadership gurus and forward thinkers in the country (maybe even the world) during that time—Peter Senge, Werner Erhardt, Nelson Broms, Marshal Thurber, and others—and have continued to do so since with the likes of Dr. W. Edwards Deming, godfather of the continuous quality improvement movement. Over the years, I was nicknamed the “Velvet Whip” and “Age Maven” as I developed my visionary leadership skills as a futurist and startup and turnaround expert. I led the call for private retirement planning for high net-worth clients and firms; trained, educated, and led thousands of professionals, NASD advisors, and experienced agents to enter the small and mid-sized business market to market and sell complex retirement services and employee benefit programs. After one success after another, I realized my dream of turning around and leading a stand-alone business serving the affinity market of professional associations which few in the industry had mastered. To do so, I pioneered the marketing and sales of advanced retirement products using an elite team of NASD professionals. I trained this team using accelerated learning methods, so that they rapidly became highly skilled knowledge workers who could sell direct via telemarketing and direct-response marketing. You have brains in your head. You have feet in your shoes.you can steer yourself in any direction you choose. You are on your own. And you know what you know. You are the one who'll decide where you go. But that’s not all. Because I also had the incredible opportunity to hire, train and lead executives and team members in new conscious intrapreneurial business models. These models integrated leading-edge, employee- and customer-centric ways of conducting business while contributing to the triple-bottom-line. They also enabled us to accurately forecast high-impact trend after high-impact trend. My corporate career is where I first immersed myself in studying and honing my foresight about the future. I truly became a futurist, in every sense of the word—studying the future of aging, retirement, women as they age, organizational change and transformation, visionary leadership, you name it. I was carrying home a big, overstuffed briefcase every night and every weekend, wasn’t spending enough time with my kids, and was your typical honcho female—addicted to working too hard. But that wasn’t what I’d signed up for. So, I voluntarily resigned. And the timing couldn’t have been better. An ugly takeover was in play, in ways that just didn’t sit well with me. Over time, I began coaching again, long before it became a “thing”. In fact, I was one of the coaching industry’s pioneers. 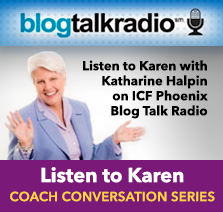 I coached executive women, women in transition, entrepreneurs. Women who were struggling to fulfill their potential—despite being exceptionally talented, and exceptionally brave. 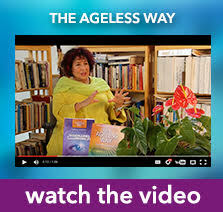 That helped me get the message loud and clear that it was time to bring the idea of Agelessness to the surface. Because far from being over-the-hill, irrelevant, invisible, or no longer important, I wanted to let women (and the evolving men in our lives) know that their contribution was needed, that they had value, and that they could no longer allow their worth to be defined by how many candles they’d blown out on their last birthday. In my early 40s myself, I returned to graduate school—the prestigious Brookdale Center for Adult Development & Aging. 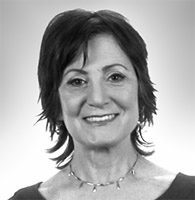 (Renamed Brookdale Center for Healthy Aging & Longevity)—to become an Educational Gerontologist specializing in Positive Aging and Adult Development (including creative living, healthy aging, active aging, positive aging and conscious aging). While I was there, I taught professionals about “Conscious Aging” (as I called it then) and armed myself with a postgraduate certificate in adult development and aging under the tutelage of Harry R. Moody, Ph.D., an Educational Gerontologist himself and an early pioneer when it comes to the topic of Positive Aging. But my curiosity was still not sated. 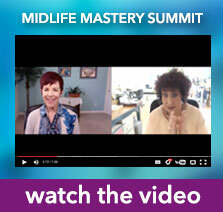 I had questions no amount of studying could address: the kinds of questions only older women visionaries could answer. Growing up, I’d had few role models of older women who’d made a difference. All I could conjure up was based on what I didn’t want. 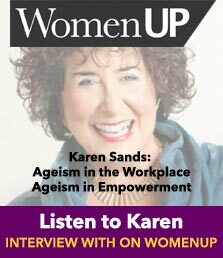 I began interviewing women in their 60s, 70s, 80s, and beyond, seeking answers and guidance to share with other women who were asking the same questions I was asking. 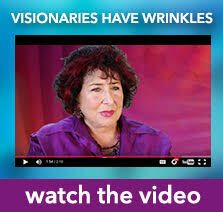 My research became the basis for one of my most popular books, Visionaries Have Wrinkles. 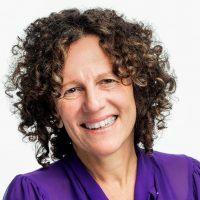 I also returned to my lifelong role as a social entrepreneur and visionary pathfinder, offering my services as a deeply transformational and results-oriented Master Coach and mentor for visionary leaders-in-the making—not to mention change makers, talent developers, world shakers, audacious entrepreneurs, and conscious intrapreneurs. And today, I’m realizing my destiny more than ever before: to empower people to rock their AGE; to help women especially, and the men that love them, to experience the power of Agelessness. And to shape a new story for our times. Deep in my bones, I believe that visionary trailblazers do indeed have wrinkles, and that older women will lead the way into the future, and to the leading edge of business, as innovative social entrepreneurs, change makers, leaders, and discerning, high-value consumers. Working with Karen is like entering a magical kingdom. The kingdom under the power suit, under the intellect, under the mind games. As I move through the second half of my life, I now own my ever-expanding awareness of my eternal nature and ageless worth. I’ve written more books, in the past few years . . . I speak. I coach. I consult. I facilitate and educate. But most of all, I care. I care about how we, as human beings, show up in the world—regardless of our age or gender or life so far. I care about those people who believe that it’s too late for them or that their time has passed. 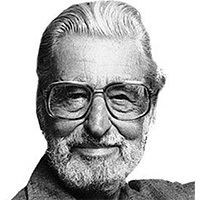 I care because I want to tell them the truth: that it is possible to rock your AGE at any stage in life, and that the future is 100% theirs for the taking. If you want to create a new story for you or your business and turn the business of Aging and Ageism on its head, let’s talk. 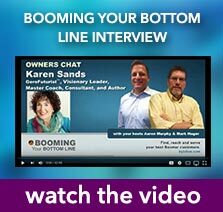 KAREN SANDS is a multiple Amazon #1 bestseller author of 11 books and journals. 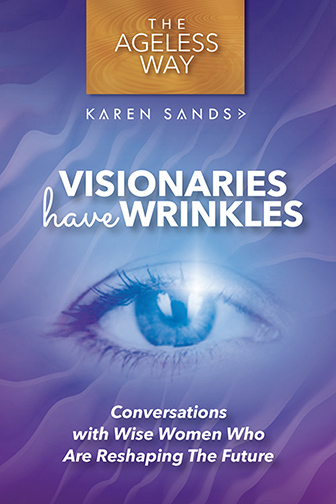 Visionaries Have Wrinkles is one of her most popular, while Gray is the New Green is turning the business of aging on its head, and her groundbreaking resource, The Ageless Way, touted as a new model for aging, and more recently her Manifesto for Visionaries, The Greatness Challenge. 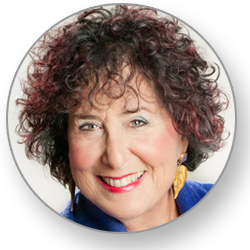 She is a serial social entrepreneur, CEC-board certified and ICF-certified master coach, invited vetted master coach and mentor for TED fellows, visionary mentor, consultant, and sought-after public speaker. 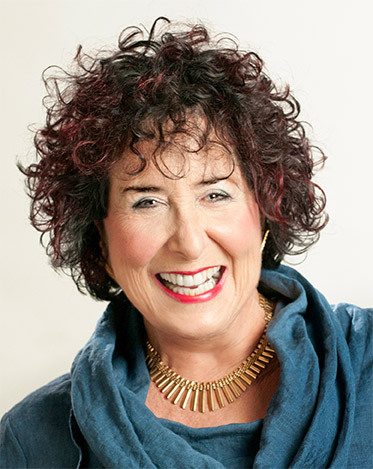 One of Corporate America’s first intrapreneurs and a pioneer in the coaching industry, she is also the leading GeroFuturistTM, midlife and Boomer expert, and expert authority on women 40+ who believes passionately in the unlimited potential associated with the Longevity Economy, the Business of Aging (aka: GeroBusinessTM) and Ageless Aging. 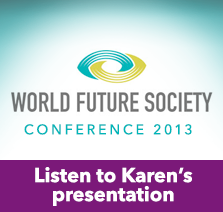 Karen mentors visionary executives-in-transition, established business owners, and professionals on how to fulfill their potential at any age, and offers consulting and training to entrepreneurs, higher education institutions, non-profits, and businesses large and small who want to learn about and capture the hearts and minds of women over 40 and/or those who are ready to hit delete on ageism, and for those who seek to turn the business of aging on its head! 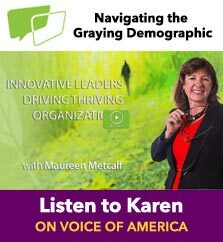 Karen has contributed to the White House Task Force on Innovative Learning, the Hudson Institute’s landmark study, Workforce 2000, as well as its sequel: Workforce 2020. She has served as an invited reporter for the White House Conference on Aging and been invited to sit on Connecticut’s Permanent Commission on the Status of Women’s Advisory Council. 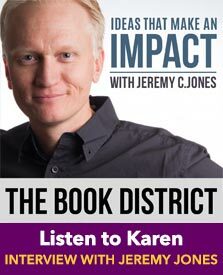 Karen has also created and trained corporate executives and educators how to incorporate continuous-quality improvement models and principles into their organizations and school systems. 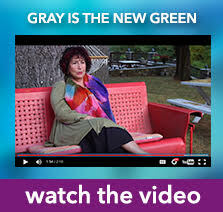 She was formerly an Adjunct Professor at Hunter College’s prestigious Brookdale Center, where she was the first to teach an adult gerontology course for professionals entitled, “Conscious Aging 101.” One of her l greatest passions throughout her career since the ‘70s is being a Transformational teacher, leading and facilitation deep soulwork and transformation for women’s groups and events. 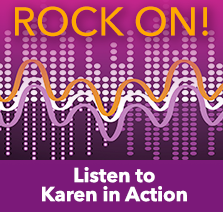 Karen has been featured in the Wall Street Journal and Glamour magazine and on CNN, NBC, HBO, and other major media outlets. 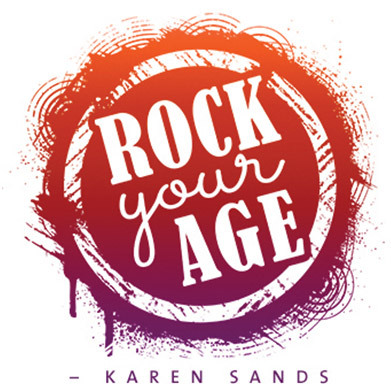 Ready to rock your AGE? Find out more about my services or get in touch with me directly. Meeting planner? In the media? Check out this page created especially for you. Karen Sands is one of this country's treasures. She is a passionate, brilliant thinker, cutting edge visionary and her voice rings out in support of people's purpose and prosperity. She is strong, persistent, tenacious and refuses to ever give up on anything or anyone and whose vision for tomorrow continues to change lives and change minds. 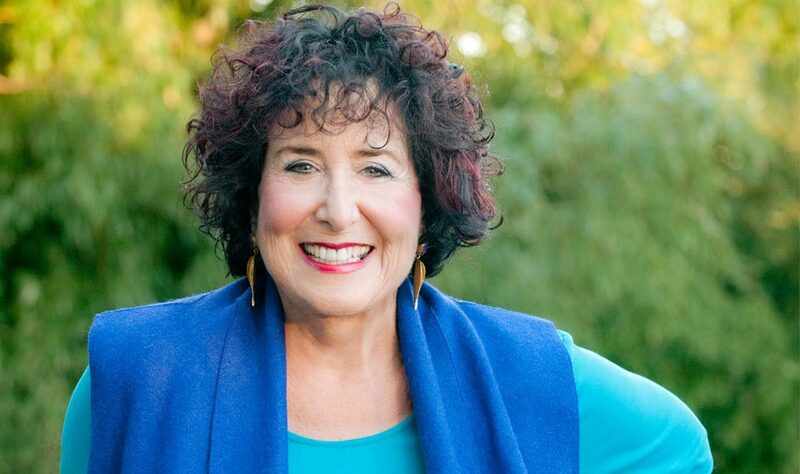 She is at the cutting edge of writing a new story for aging as well as for women and others who have had little or no voice in the mainstream narrative. Her laugh lights up a room and shakes the rafters. Her incredible vitality and joy for life and ideas makes her one of the most remarkable women I have met. It is and always has been an honor to work with her.